The practice of organic farming has gained popularity recently in the United States. Today’s consumers are demanding food that are grown organically and it’s backed by public, government and private organizations. Organic livestock is one of the many options that a livestock farmer has in producing quality livestock. 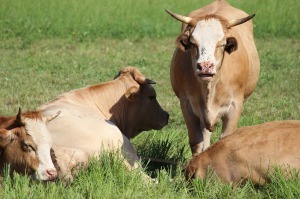 Livestock producers are able to grow and market livestock and end products with organic methods. Livestock farming with organic methods has its own unique rewards and also challenges. 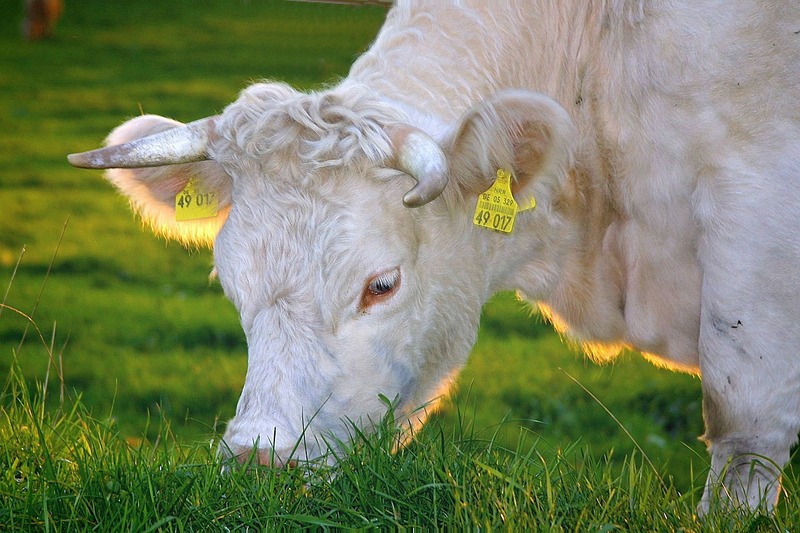 Raising ruminant animals requires efficient pasture management, organic methods of pest control, and specific fertilizers in addition to a number of other considerations that need to be addressed to be a successful certified organics livestock producer. In order for a livestock farm to be called organic, it must follow government regulations and guidelines and recommendations. Below is a list of things you need to consider for an organic livestock farm. Products sold or marketed today with an “organic” label on it must come from a farm that uses organic methods certified by the government. Organic livestock products come from animals that were raised in an organic farm and must be raised under continuous organic management methods from the last three generation or at hatching. 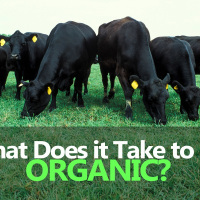 Livestock products and feed must be also organic. For example, forages, pasture grass and other forms of feed and supplement must be organically produced. Livestock that are produced under organic management must have their total ration and all agricultural products produced and handled organically. An organic farmer must create living conditions for animals that maintain the health of the animal and accommodate their natural behavior. It must be government approved and certified in order to be called organic. The living conditions must include access to outdoors, access to pasture for ruminants, shelter, shade, fresh air, direct sunlight, and conditions suitable to the species. Organic manure management must ensure that all sheds and pens are kept clean. Animal waste must be safe and should not promote contamination to crops, water, soil or other animals. It should also optimize recycling and reuse of waste and nutrients. An organic farmer must establish preventive healthcare practices in his farm before diseases cause damage to the organic farm. Preventive healthcare practices begin with selecting resilient species of livestock, feeding them a healthy diet, creating an environment that minimize stress, diseases and parasites, and following all the government recommended health care procedures. It also includes vaccination, recommended medication and pesticides, government recommended processes of disease control and regular vet visits. Animal husbandry in an organic farming promotes animal health and wellbeing, and reduces stress, pain and suffering of the animals, giving it the optimal environment, a balanced nutritious diet, and taking preventive healthcare measures, while improving profit and cost efficiency of farming. To supply your animals with high quality, highly nutritious and digestible micro-green grasses, learn about our DIY fodder systems. Now is the best time to grow your own micro-green fodder to supplement your pasture grasses. Click here to get DIY plans for proven livestock feeding systems. To learn more please contact us at 303-495-3705 or Click here to book a meeting with us. You can also get your Feed in A Box Microgreens (fodder) from us to see how great it is!! Have a questions or comment? Please add them in the comment box below or visit our Facebook Page. We’d really appreciate it.